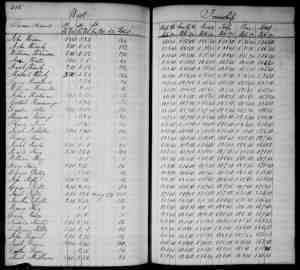 • Tax List: Personal Property Tax, 1832, West Township, Columbiana County, Ohio, USA. • Tax List: Personal Property Tax, 1834, West Township, Columbiana County, Ohio, USA. • Tax List: County Land, 1837, West Township, Columbiana County, Ohio, USA. • Tax List: County Land, 1838, West Township, Columbiana County, Ohio, USA. 1 Cindy Smith, Grand Rapids, Michigan to David Leas, e-mail, 02-21-2011; privately held by Leas, Greensburg, Indiana.